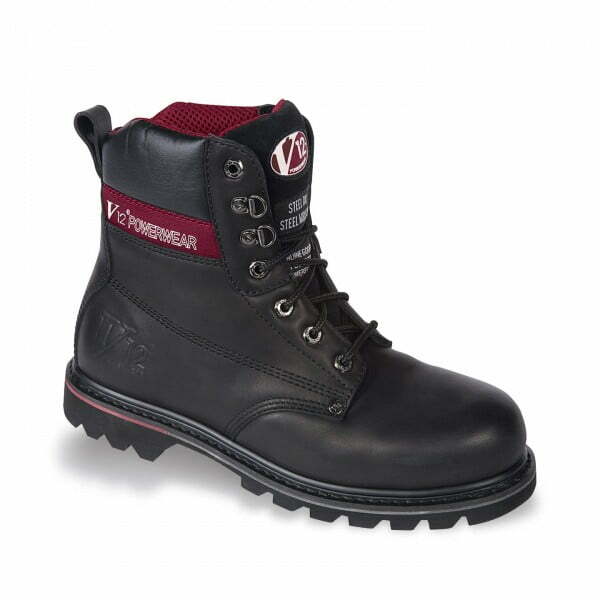 Exceptional value rigger boots. 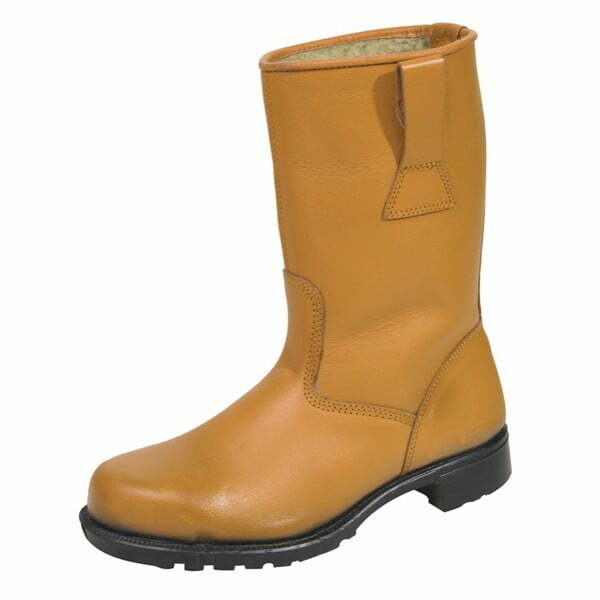 Upper made with industrial grade tan leather and all seams are triple stitched for maximum strength. 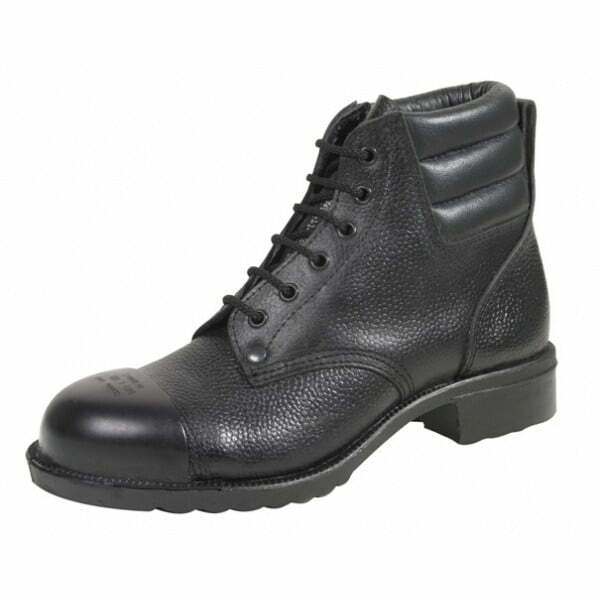 It is fully lined with insulating sythetic fur. 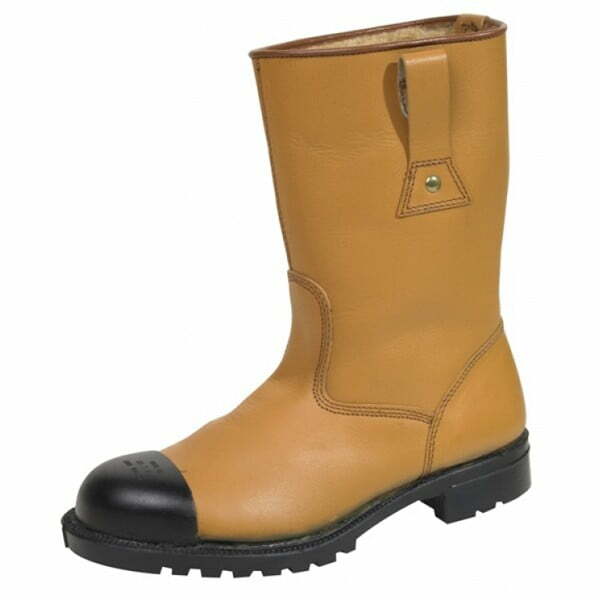 Wide fitting internal steel toe cap and heavy cleated block tread pattern rubber sole for excellent outdoor grip is also oil and heat resistant. Quality safety footwear at a discount online price from one of the UKs longest established manufacturers and suppliers of safety boots and shoes.